To assess multifidus muscle asymmetry using the cross-sectional area (CSA) and perpendicular distance of the multifidus muscle to the lamina (MLD) measurements in patients with nerve compression due to lumbosacral disc hernia. 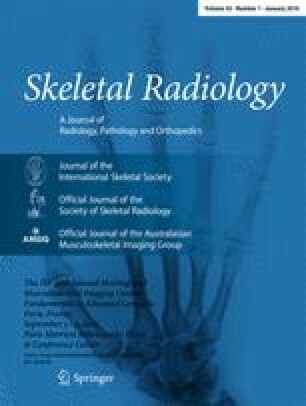 In total, 122 patients who underwent microdiscectomy for unilateral radiculopathy caused by disc herniation, diagnosed by magnetic resonance imaging (MRI), were evaluated retrospectively. Posterolateral or foraminal disc herniation at only one disc level, the L3-4, L4-L5, or L5-S1 region, was confirmed using MRI. Subjects were divided by symptom duration: 1–30 days, (group A), 31–90 days (group B), and > 90 days (group C). There were 48 cases in group A, 26 in group B, and 48 in group C.
In groups A, B, and C, the median MLD differed significantly between the diseased and normal sides (P < 0.05). The MLD increased on the diseased side with symptom duration by lumbar disc herniation. The diseased side MLD was 5.1, 6.7, and 7.6 mm in groups A, B, and C, respectively (P < 0.05). The cut-off values for the MLD measurements were 5.3 mm (sensitivity = 62.3 %, specificity = 55.5 %; P < 0.05). In groups A, B, and C, the median CSA of the multifidus muscle was not significantly different between the diseased and the normal side (P > 0.05). The MLD measurement correlated significantly with multifidus asymmetry in patients with lumbar disc herniation. Neither the authors nor the author’s institutions have any conflicts of interest to report. No financial support from any institution was used.